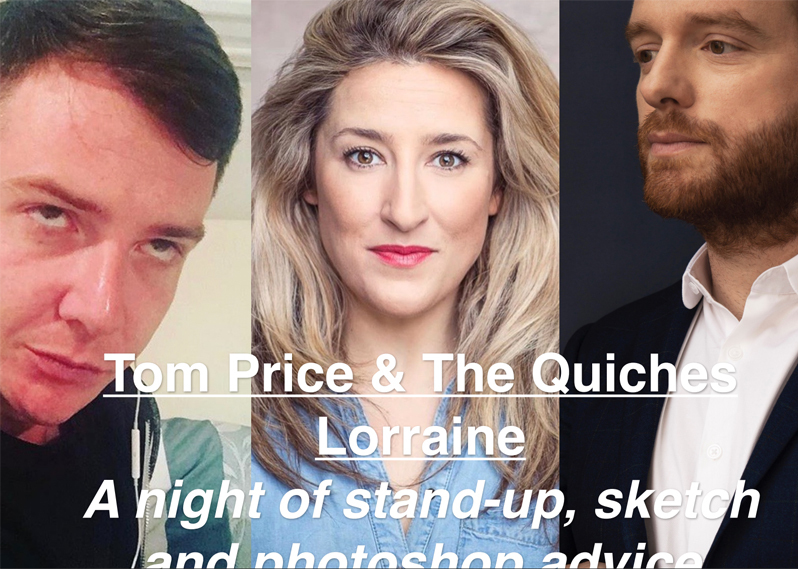 Tom Price & The Quiches Lorraine: A double bill of stand up and sketch. Join us for a night of brand new stand up and sketch comedy. Tom Price (Torchwood, Tourist Trap, LIDL ads) returns to stand-up after two years off. Expect it to be “outstanding” (The List), “genius” (The Scotsman) and “One to watch” (Chortle.co.uk in 2001). Then, prepare to meet your new favourite sketch group: The Quiches Lorraine (Beth Granville and Garnon Davies) who were formed over WhatsApp in November 2017. Expect jokes, characters and as few props as possible.